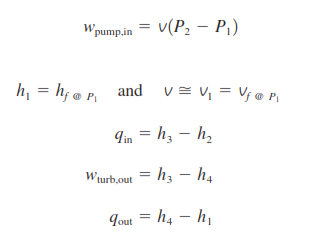 The simple ideal Rankine cycle. sources is transferred to the water essentially at constant pressure. The boiler, together with the section where the steam is superheated (the superheater), is often called the steam generator. the power plants are cooled by air instead of water. This method of cooling, which is also used in car engines, is called dry cooling. Several power plants in the world, including some in the United States, use dry cooling to conserve water. 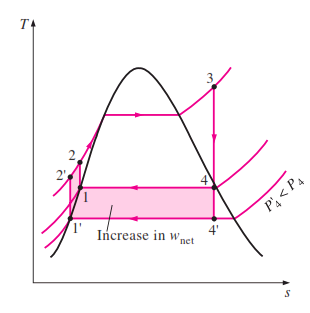 are steady-flow devices, and thus all four processes that make up the Rankine cycle can be analyzed as steady-flow processes.The kinetic and potential energy changes of the steam are usually small relative to the work and heat transfer terms and are therefore usually neglected. 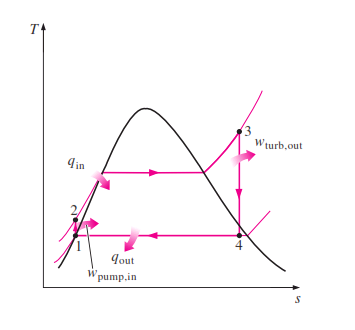 The effect of lowering the condenser pressure on the ideal Rankine cycle. 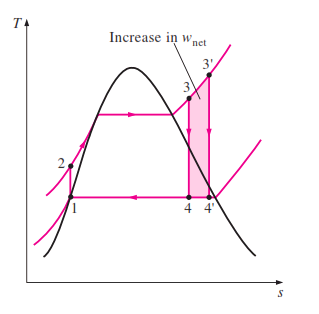 The effect of superheating the steam to higher temperatures on the ideal Rankine cycle. 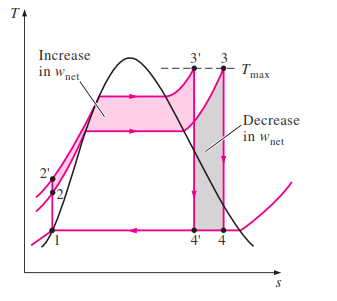 The effect of increasing the boiler pressure on the ideal Rankine cycle. 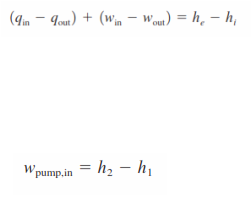 _ In this cycle, energy is recovered from the exhaust gases by transferring it to the steam in a heat exchanger that serves as the boiler. 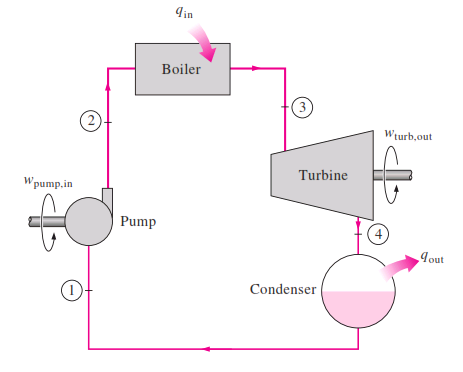 In general, more than one gas turbine is needed to supply sufficient heat to the steam. Also, the steam cycle may involve regeneration as well as reheating. 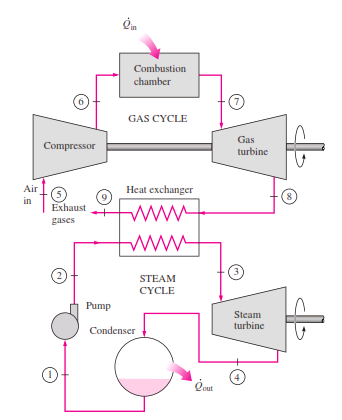 Energy for the reheating process can be supplied by burning some additional fuel in the oxygen-rich exhaust gases. 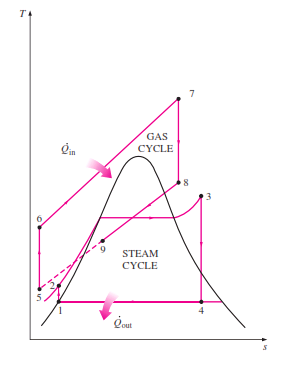 Recent developments in gas-turbine technology have made the combined gas–steam cycle economically very attractive. The combined cycle increases the efficiency without increasing the initial cost greatly. Consequently, many new power plants operate on combined cycles, and many more existing steam- or gas-turbine plants are being converted to combined-cycle power plants. Thermal efficiencies well over 40 percent are reported as a result of conversion.